Patricia Schultz, 85, of David City, died Thursday, October 26, 2017, at the St. Joseph's Villa in David City. .
Patricia Ann “Patty” Schultz was born November 14, 1931 at Albion, NE to Theodore A. Redler Sr. and Leta Marie (Watts) Redler. Patty lived her life to the fullest. She attended school at District 9, country school Grades 1st through 8th, and then went to Albion Public High School, graduating in May of 1949. Patty met and dated her husband, Carroll J. Shockey of Newman Grove, NE and married him January 14, 1950. Carroll died, March 16, 1972 at Blair, NE. There were four children born to this union; Kathleen Ann McLaughlin, Genoa, NE, David Allen, (Cynthia LeMaster), Lincoln, NE, Jeannie Marie,(Jason Laytart), Phoenix, AZ and Teresa(Teri) Jane Shockey, Fremont, NE. Patty also had 7 grandchildren , 10 great-grandchildren and 5 great-great-grandchildren. Patty raised her family and worked most of her life to help keep the family afloat. 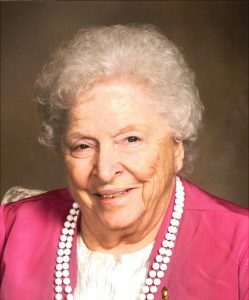 She loved to work her Cameo Painted Clothes business and going to state fairs to sell her products along with her sales people. She also loved to cook and was a very good cook for her Bar and Restaurant in North Bend, NE along with her second husband Dwight G. Schultz, whom she married September 15, 1978 in Columbus, NE. Patty also loved family genealogy after she retired and attending the family reunions. Her main reason for living was for all of her family, to be around them was her goal in life. The surviving family are her husband Dwight G. Schultz who is living with his children in Texas and Iowa also brothers: James (Jim) A. & (Mary Jane) Redler of David City, Benedict J. & (Lynda) Redler, Marble Falls, TX and sister, Ms. Dorothy Redler of Gainesville, GA, also nieces, nephews, cousins and friends. Preceding her in death were: Father and Mother, First husband Carroll J. Shockey and, Daughter, Teresa (Teri) Jane Shockey. Pat’s wishes were to be cremated, and have a Celebration of Life Ceremony and the inurnment at a later date by private invitation at the Lincoln Memorial Cemetery in Lincoln, NE.